I’m Brian Duff and I am excited to bring you’re the first, of what will be many episodes here on the Mind4Survival podcast. This episode will let you know what the podcast is all about. That will start off with who I am, which you can read more on here on my About page. Why is Mind4Survival so Important? Mind4Survival is very important for those who want improved safety, security, and preparedness. The show taps into subject matter experts to provide you with the best information possible. After all, when it comes to your safety, security, and preparedness, you should be given the best information possible. The show is about safety, security, and preparedness. It’s about helping you be better prepared to overcome the curve balls life throws at you. The show is a vehicle to help people become as prepared as they want to be. Preparedness is a personal choice. Some people are happy with a simple first aid kit and know how to put on a band-aid. Others, won’t feel safe until they have a bunker with years of supplies ready to go. Regardless of what your preparedness needs are, Mind4Survival is here to help. 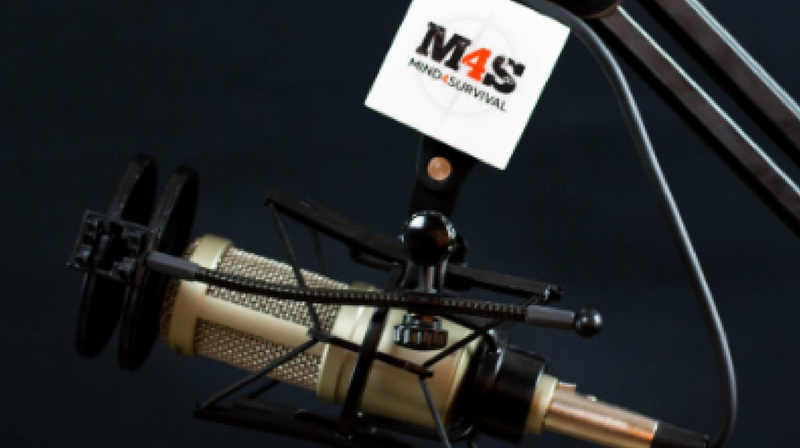 The Mind4Survival podcast is not a show about politics, conspiracy theories, etc. These topics like many, are open to an endless number of opinions and debate. It's true, they may have an impact on us and may potentially be the reason why something happens. However, talk about these issues does not prepare you to overcome the immediate threat to your safety and security, should you find yourself in the middle of a mess. Therefore, we will not focus on it. Besides, there are many other resources available, which dedicate their time to politics, conspiracy theories, etc. In the end, if you find yourself in a potentially dangerous situation, should the politics behind it matter? No, what matters is that you have the knowledge and skills to be successful in overcoming the situation. 360° security is the philosophy and practice that you use to maintain well-being across all aspects of your life. That applies to everything including home security, financial preparedness, disaster readiness, personal safety, etc. Fortunately, employing a 360° security attitude helps prepare you to avoid or deal with most possibilities. The Individual Security Condition (ISC) is a measure of how prepared you are to overcome crime, financial ruin, disasters, etc. It is the ISC that establishes your security baselines. These benchmarks become your all-in, actual security reality. That fact occurs where your perception of security crosses the reality of your security. Improved situational awareness starts by paying attention to what is going on around you. Paying attention means not burying your head in your smartphone and texts. The more we practice observing, interpreting and game planning, the more proficient and faster-reacting we will be. Just like the people who are good at work, you can be good at situational awareness. As you improve, your decision making will become more accurate. So, too, will be the speed with which you make those decisions. Achieving those two goals will help you become much more secure, safe, and prepared. Ultimately, all of this, 360° security, the Individual Security Condition, the OODA Loop, etc., are all about you. Security, while we tend to think of it as the uniformed guys in the mall, is really about us. It is about keeping us secure and safe from all of life’s challenges. We achieve that by educating and training ourselves to be prepared to face everything, life throws at us. We can all do it, and I’m here to help make it happen. If you have any other thoughts or questions about Mind4Survival and me, Brian Duff, please leave a comment below.